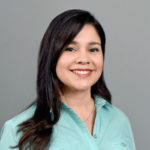 Jesenia Pizarro, Associate Professor of Criminology & Criminal Justice at Arizona State University, is an expert in gun violence, violent crime, violence and homicide prevention, and supermax prisons. Pizarro has worked with police agencies to control the violence in communities, conduct research, and evaluate programs in federally funded grants awarded by the Bureau of Justice Assistance, Office of Juvenile Justice and Delinquency Prevention, National Institute of Health, and the Center for Disease Control in the roles of PI, Co-PI, and consultant. She was awarded the Athena Young Professional Leadership Award in 2015 by Links Incorporated. She has been published in numerous journals, including American Journal of Public Health, Justice Quarterly, Homicide Studies and Applied Geography. Pizarro received her Ph.D., M.A., and B.S. in Criminal Justice from Rutgers University.